The truth is, for most people getting six pack abs is not an easy task because it requires dedication and motivation… but it is possible! Below is a general 2-step guide that, if followed religiously for 3 months, will improve your abs. This is the single most important part of the puzzle, hands down. You can have the most impressive set of abs, but if they’re covered with a layer of fat, you won’t see them! Break up your day with 5 or 6 mini-meals because this jump starts your metabolism. Be realistic – you’ll slip here and there, but make a conscious effort to improve your eating habits. Without good nutrition, getting a true six pack will be impossible. You need to focus on 3 different exercises: cardio, weightlifting and ab exercises. And aim to workout 4 times per week (definitely a minimum of 3 times per week). The cardio you do can be anything: walking, running, biking, swimming…whichever cardio you don’t mind doing so you stick with it. The trick is to do the cardio in bursts because it will burn fat fast. For example, if you’re running, walk for one minute and then sprint for 15 seconds and repeat 10 times. Perform this type of interval cardio 2 times per week. Lifting weights is important because 3 pounds of added muscle burns as many calories as a 1 mile jog…and this is while you’re just sitting around! Aim for 30-45 minutes, 2 times per week. The last exercise you need to add to your workout are ab exercises. Aim to work your abs 3 times per week. There are a lot of different ab exercises you can do so try to find 3 or so that you enjoy doing and mix it up. Tip: mix up your workout routine every 2 weeks to keep your body guessing and improving. Add or take away different weightlifting or ab exercises, or at the very least, vary the weight and reps you do. Well, there you have it. Follow the above for 3 months, and while results will vary from person to person, you will see an improvement in your abs. And keep in mind that dedication and motivation will go a long way to helping you reach your goal of having six pack abs. 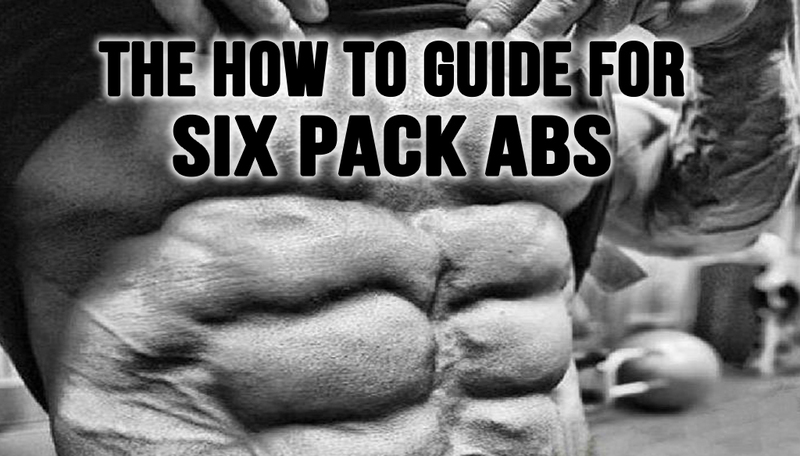 Another routine that will help you get a ripped stomach and a lean physique is called the Truth About 6 Pack Abs. It’s a best-selling fitness program because it works and it over-delivers.